Big Box Jurong East – A new lease of life? Big Box Jurong East, just across from JEM may be located in the prime Jurong East district but business for retailers has been so slow that they owe the owner rental amounting to over S$ 50 million and now the building has to be sold as it is being put under receivership. Cushman & Wakefield, which has been appointed as the exclusive marketing agent, said the divestment will be conducted via an Expression of Interest, which closed on 14 June, 2018. When it was launched in 2014, it was billed as the largest warehouse retail mall (a Special kind of commercial/industrial property), offering convenience and value for money. It was one of four EDB-approved warehouse retail scheme projects in Singapore at the time. Investors in the building include TT International, a Singapore Exchange listed retailer behind brands such as “Akira” and “Barang Barang”, with a 51% stake, followed by Utraco Investment at 30.4% and Prima BB at 18.6%. All-in, they put in over S$180 million. Spread over a massive 1.4 million sq ft of GFA, the eight-storey building housed retailers offering everything you could possibly want to shop for – groceries, fashion, sportswear, electronics, furniture and food and beverage. There was also a 70,000 sq ft exhibition hall. In a way, the warehouse retail scheme seemed like an ingenious idea. Acquire an industrial building with prime location and rebrand it as a retail mall. Rentals for industrial are lower than that for commercial. Introduced in 2004, the other projects include Ikea, Giant and Courts. Though the scheme ended in 2007, the URA revised guidelines allow space for supporting activities such as canteen (capped at lower of 700 sqm or 5% of GFA), showroom and commercial uses (capped at lower of 200sqm or 10% of GFA). This led to concepts such as the Gain City building at Sungei Kadut where 60% was allocated for warehousing to comply with URA guidelines, with the remaining space used for retail, among other uses. There has also been industrial spaces used to support entrepreneurs such as the JTC Launchpad @one-north. The relaxation of guidelines has helped to buffer demand for industrial space from the cyclical manufacturing sector. BigBox, though an industrial building, is strategically located near the Jurong East MRT and other malls such as JCube, Jem, Westgate and IMM. It was also within the Jurong Lake district, which is the CBD area, and near the residential catchment area in Jurong. But as it turns out, the building failed to draw sufficient consumers, who preferred nearby malls. Though there were efforts to make Big Box more vibrant, it failed to draw customers who were spoilt for choice. There was Westgate which had tenant mix comprising well known brands such as Miniso, Tokyo Hands and BreadTalk; Jem which houses a cinema and retail outlets, including bookstore Books Kinokuniya, JCube which has an ice skating ring and some outlet shops, among others and IMM, Singapore’s largest outlet mall. Now with the failure of the retail warehouse concept and expiry of the warehouse retail scheme, the building is being positioned for logistics use. International Property Advisor chief executive Ku Swee Yong was quoted on Straits Times that it may not be a good location for logistics players, e-commerce and warehousing as the price (of buying the place) is more expensive as compared to Tuas or Pioneer Road. Perhaps someone with an innovative idea for this massive space in the prime Jurong East area can work it out. Running up Industrial property land price and hence rentals. Impacting the businesses of Commercial zoned entities. If such land was sold to developers or operators on a longer lease, it becomes a potential get-rich-quick scheme where investors can simply buy, hold and sell property. They can operate an “Industrial warehouse” in name and capitalise gains from buying and selling of this land/property. Luckily in this case, the land was released on a 30-year lease and there is not much land value “Play” there. If the authorities meant to control zoning strictly, then my gravest concern would be those Industrial white sites. These sites practically became shopping centres and food courts that look no different from your neighbourhood shopping mall. This is a bad development of industrial land. Industrial land should be strictly left to industrial activities, cost to be kept low so as to create sufficient employment for Singaporeans and Residents. Industry is an important part of Singapore where it helps Singapore to maintain more diversified economy than simply having pure commercial activities alone. To read up on the Jurong Gateway project, please click here. To read up on another article on industrial property, please click here. Just email our chief mortgage consultant, Paul Ho, with your name, email and phone number at paul@icompareloan.com for a free assessment or simply connect with Paul Ho on Linkedin. 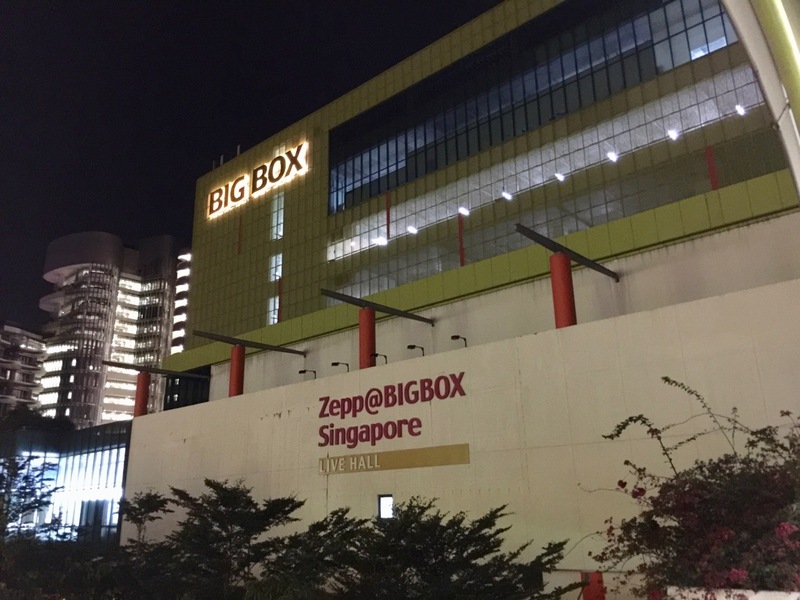 The post Big Box Jurong East – What happened to it? appeared first on iCompareLoan Resources.